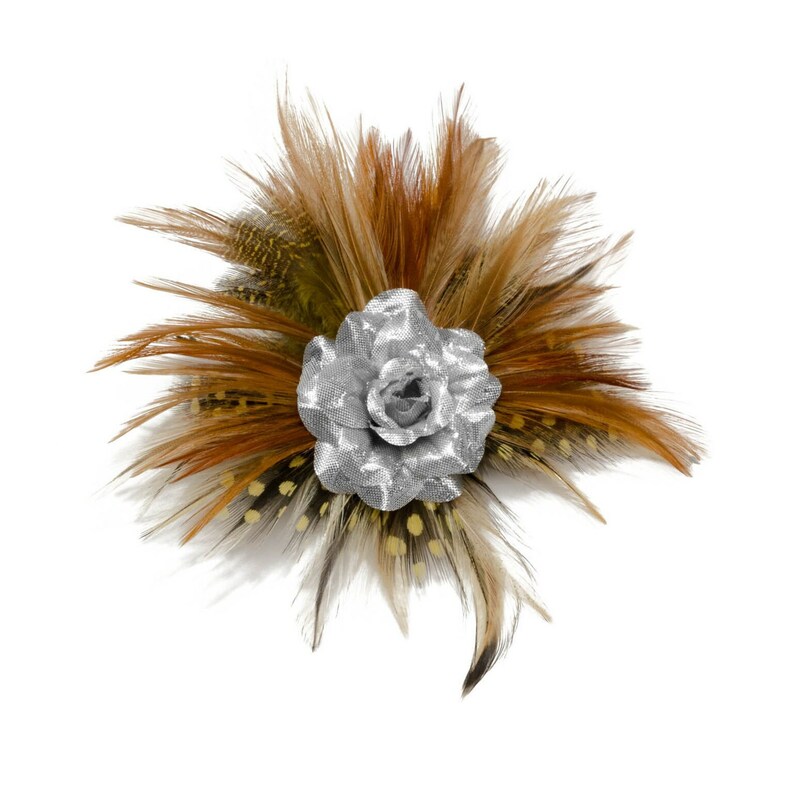 This hair clip features a combination of light brown, beige and spotted marabou feathers with a glistening silver rose, attached to an alligator clip. Wear this feather and rose hair clip to any occasion--people will fall in LUV with your look! Product Details: 1 clip is included in this purchase. The hair clip is roughly 4 inches in diameter.